SpaceX launch of the SAOCOM 1A satellite from Vandenberg Air Force Base October 7, 2018. The satellite was deployed about 12 minutes after launch. Following stage separation, Falcon 9’s first stage will return to land at SpaceX’s Landing Zone 4 at Vandenberg Air Force Base. This is SpaceX’s first attempt and successfully landing on the West Coast. Photo by Thomas R Cordova. The twice-delayed launch of a rocket carrying a reconnaissance satellite into orbit from Vandenberg Air Force Base in Santa Barbara County has been rescheduled for Tuesday. 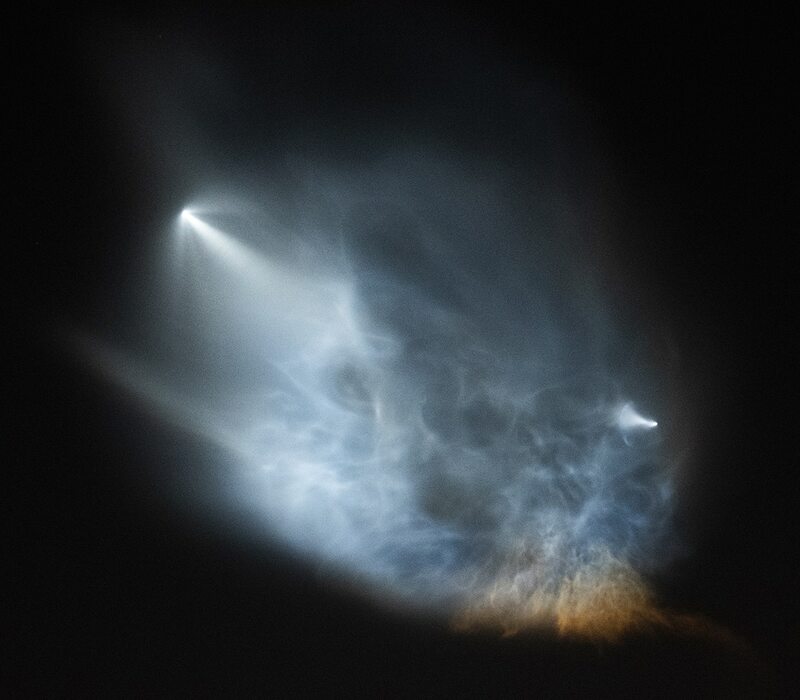 Rocket launches from Vandenberg, particularly those carried out after sundown, have traditionally created spectacular light shows in the skies over Long Beach, Southern California and the southwestern United States. The ULA launch was scrubbed Saturday night just 7.5 seconds before its scheduled liftoff due to a technical glitch. An operational problem had caused a delay in the launch one day prior to that.